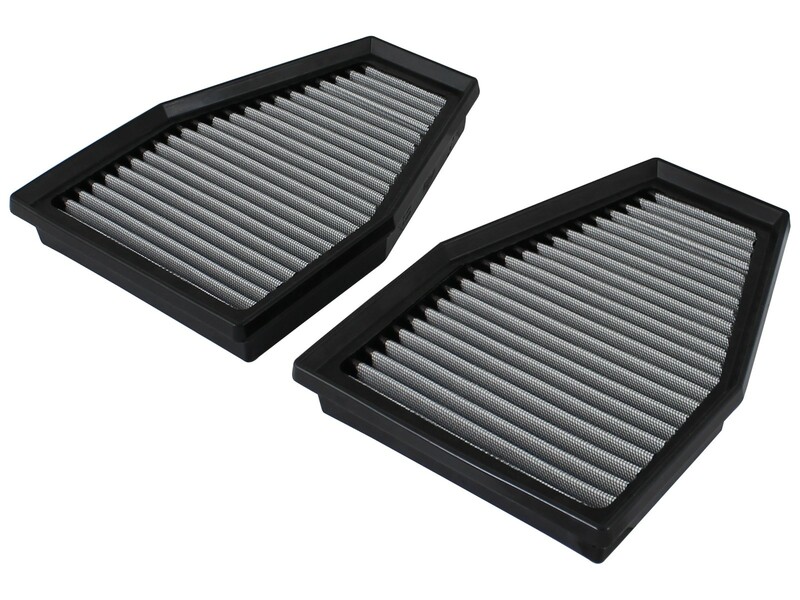 Looking to upgrade your Porsche 911 (991) air filters? 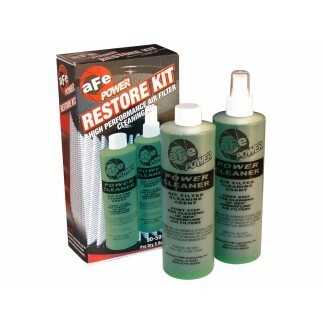 aFe power's Pro DRY S performance filters are constructed with 100% polyurethane frame on all sides. 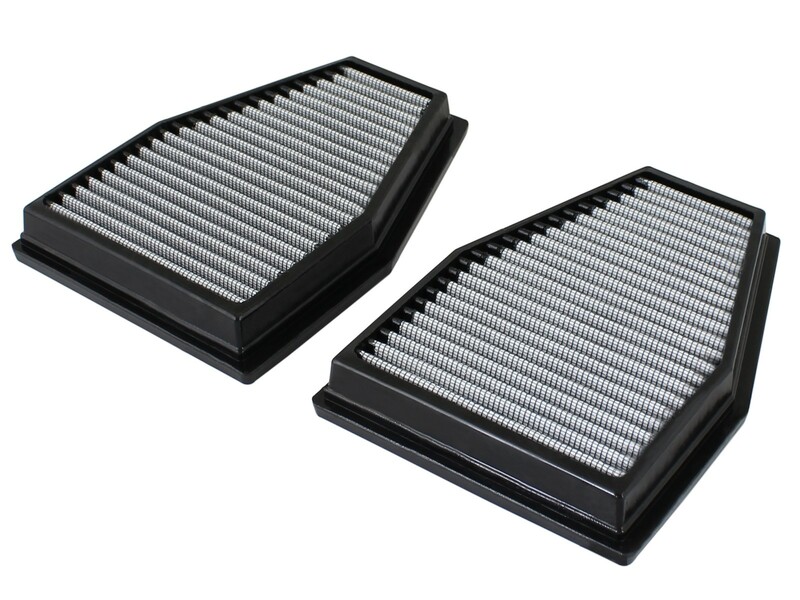 These high-flow, non-oiled OE replacement performance filters will outflow the stock filters by 27% for improved horsepower and torque. These Pro DRY S air filters use three layers of progressively finer porosity "oil-free" media to provide maximum airflow for best performance results. Washable and reusable for multiple cleaning cycles, the tall, open, evenly spaced pleats provide excellent dust holding capacity for a longer service cycle between cleanings. An integrated urethane bump seal insures tight, no leak seal over the life of the filters. 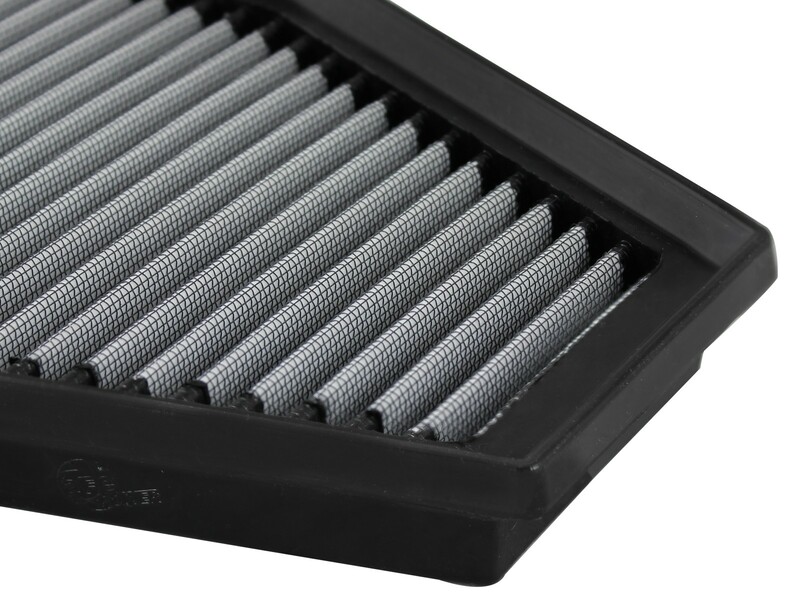 This filter features a 3-layer progressively finer mesh synthetic "oil-free" media to provide maximum flow with excellent filtration. The progressive layering of media allows the filter to flow at high levels even when dirty. The Pro DRY S non-oiled synthetic air filter requires no oils for cleaning for maximum convenience. aFe performance air filters uses a rounded pleat design which produces more useable filter surface area for increased flow and greater dust holding capacity. 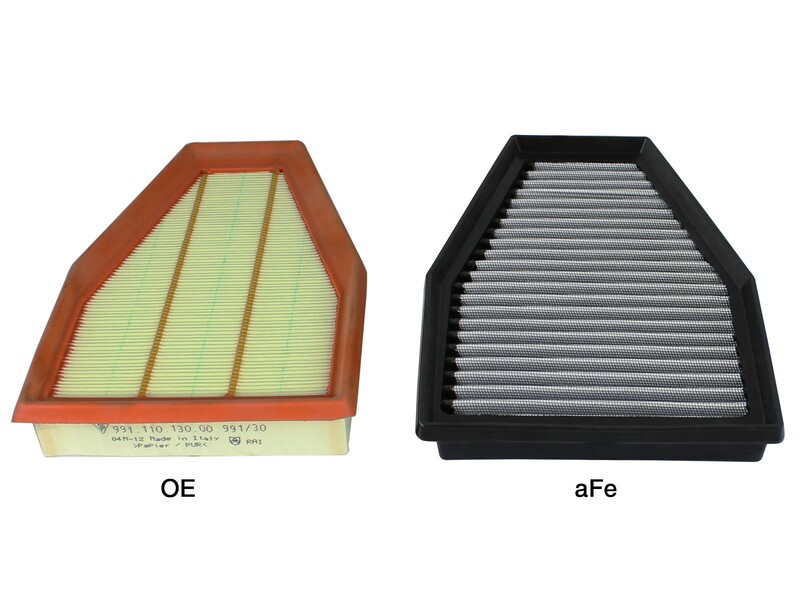 aFe Power performance air filters are constructed with 100% polyurethane frame on all sides. This construction allows for a proper OE style fit with excellent filter strength. Note: This kit includes 2 air filters.